Worship is at the heart of what we do at Trinity. There are many opportunities for serving God in worship and music at Trinity: leading the songs or prayers, reading scripture, serving at the altar, preparing for the service, and more. Trinity offers a thriving music program, offering opportunities for singers and musicians, ages four and up, to develop and use their gifts to praise the Lord. ​Many hands and voices serve each week to ensure the dignity and beauty of our worship services. Come learn more about the Worship Teams serving at Trinity and join us in our work. 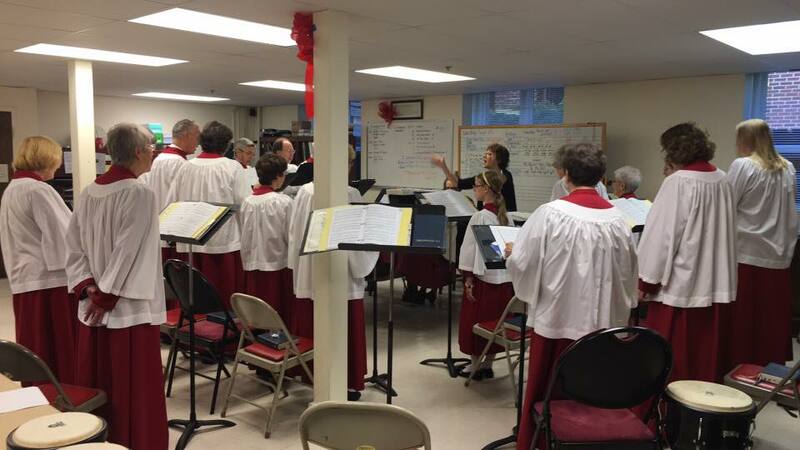 The St. Gregory Choir is a dedicated, warm, close-knit group of people, committed to high standards of choral singing. The Contemporary Worship Team is a collection of musicians, singers and multimedia professionals committed to enhancing worship. Music opportunities for children and youth include the St. Gregory choir, the Contemporary Worship Team, and the recorder ensemble. Young people may also offer their musical talents for the Christmas Pageant and the Good Friday Stations of the Cross services. For more information on any of our music groups and programs or and upcoming musical events, please contact the main office.